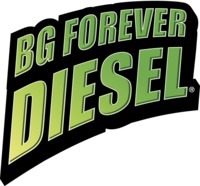 The BG Diesel Performance Oil Change Service is backed by BG Forever Diesel®. A lifetime of security for diesel owners, starting at any mileage! The BG Forever Diesel® plan allows diesels to enter the plan and be eligible for full coverage at any mileage. If you get a BG Diesel Performance Oil Change Service, repair of the lubricated parts in your engine will automatically be covered for up to $6,000! To maintain protection, stick to the service schedule listed below. To maintain protection, stick to the service schedule listed below. To maintain coverage, consumers must simply return to the BG shop for another premium BG Service within the specified mileage interval. If you are participating in Forever Diesel® through your local automotive service center and need to file a claim, contact a BG Products authorized claims administrator. *BG Forever Diesel® covers only components serviced by BG products. For complete details, visit bgprod.com/fd.